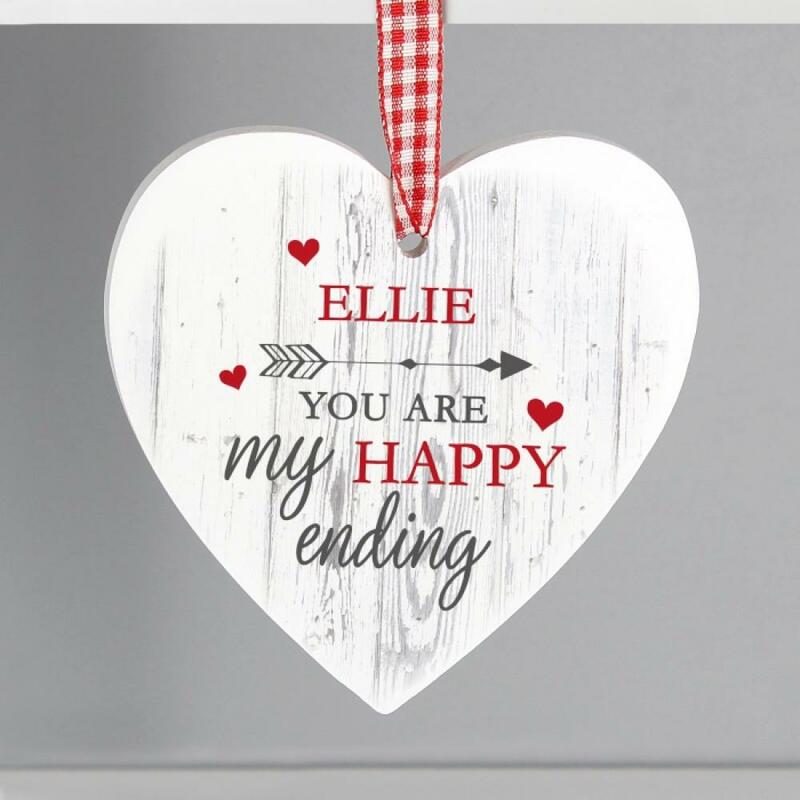 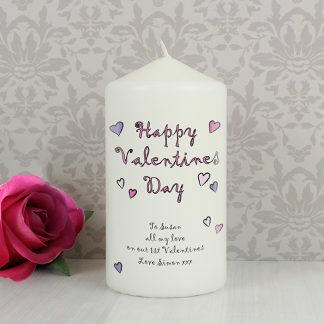 Our stunning Personalised My Happy Ending Wooden Heart Decoration is a perfect way to add a romantic touch to your home. 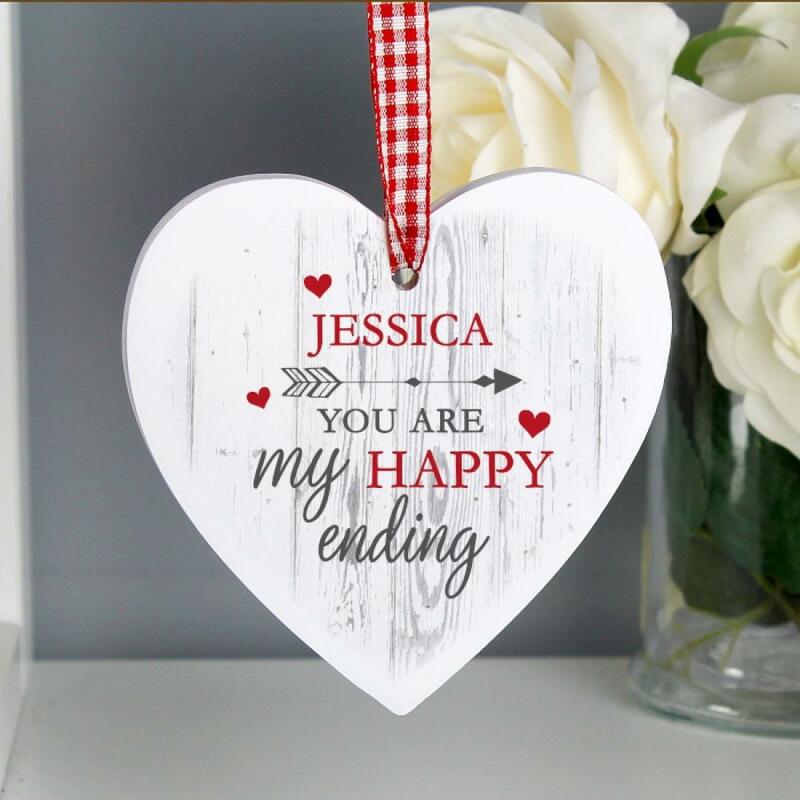 The words 'You are my happy ending' are fixed text and part of the design. 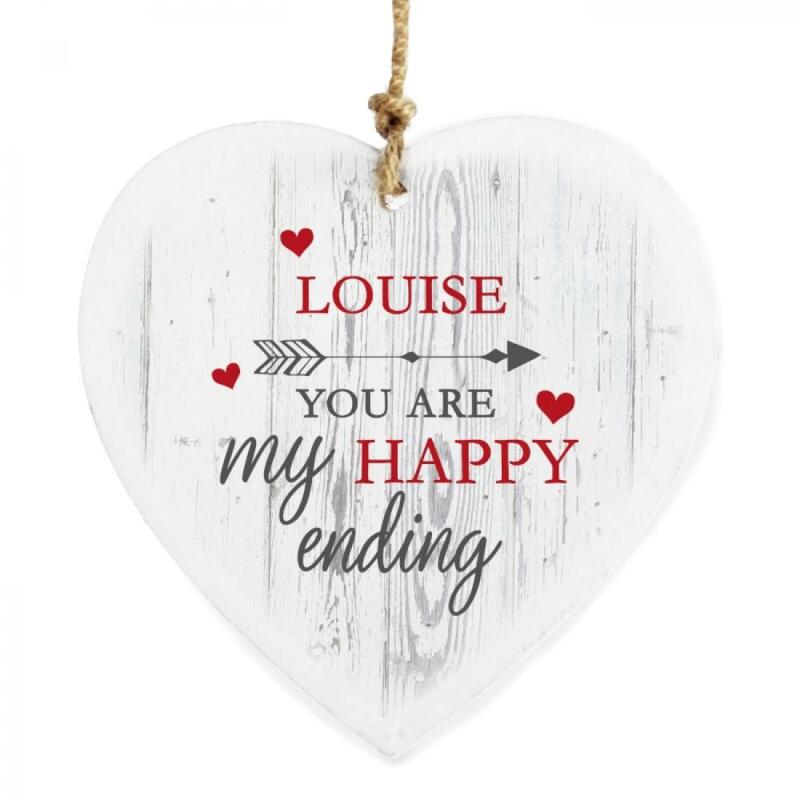 You can personalise the heart with a message. Please refrain from using emoji’s, characters, accents and special symbols will not appear on your personalisation, as the process does not allow for these. Comes complete with ribbon/twine ready to hang. 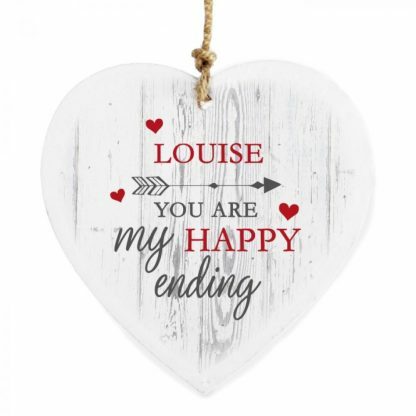 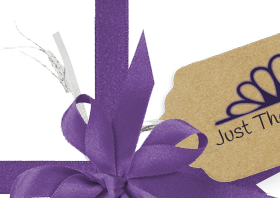 Weddings, Valentine's Day, Anniversaries and New Home.